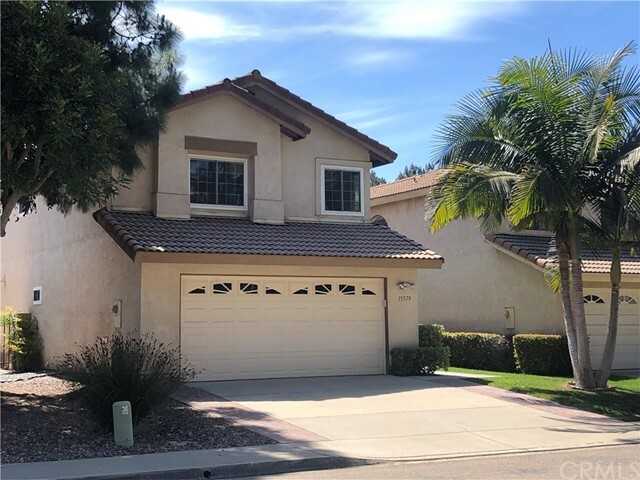 All Rancho Bernardo (San homes currently listed for sale in Rancho Bernardo (San as of 04/24/2019 are shown below. You can change the search criteria at any time by pressing the 'Change Search' button below. "Home sweet home! Come see this gorgeous four bedroom with over 100k in upgrades. Located in the desirable Rancho Bernardo community within the amazing Poway Unified School District. Start off by walking into the spacious living room with high ceiling which opens up to the dining room and updated grand kitchen with appliances, granite counter-top, and island. This home truly has a brilliant layout! Enjoy a touch of privacy in a separate family room with fireplace located across the kitchen and can easily access the backyard. The backyard is a great open space with Palm trees and a play area, which is also perfect for parties and family gatherings. All bathrooms recently remodeled, all windows replaced to dual pane, sliding doors were also replaced including interior and exterior doors. House also features Flow Technology water treatment system and Quiet Cool attic ventilation. The central AC and Heating system were replaced as well. This community offers great amenities with a swimming pool, tennis courts, indoor racket ball, basketball court, playground, volleyball, and party room. Low HOA dues and NO Mello-Roos. A place you can definitely call home." "This Residence 1 floor plan at Skye at Del Sur offers 1,715 square feet with 3-bed, 2.5 bath, with a convenient dedicated office space off of the Kitchen and Dining space, beautiful balcony off the Dining Room, and a 2-Car Garage. This is your opportunity to own in the brand new Community of Skye at Del Sur. This home features stainless steel GE Profile Appliances including refrigerator and washer/dryer, home automation features including Amazon Alexa, Ring Doorbell system and Baldwin Evolved Smart Lock. Neighborhoods: Del Sur Skye HS 74 Res 1 Equipment: Fire Sprinklers,Garage Door Opener Other Fees: 0 Sewer: Sewer Connected Topography: GSL"